The journey of Gianfranco Battisti, CEO of Ferrovie Dello Stato Italiane (FS), to the United States would have borne its first fruits in the definition of the new company for Alitalia, but so far nothing is definite. Delta Airlines, in fact, should officially join the new Alitalia, but with an initial share of only 10%. The commitment signed with the managing director of FS doubles over the next four years to satisfy the industrial plan still being defined. The managing director of Delta, Ed Bastian, would, therefore, have confirmed the interest for a percentage of shares similar to those already held in Air France-KLM, even if now FS will have to increase its participation up to 40%. According to the Italian press, the Battisti-Bastian confrontation would have focused on the shares of the new team, its shareholders, and governance, while the definition of the industrial aspects of the plan will need more time. As a result, a further postponement of the presentation of the Alitalia business plan is expected to be scheduled for next March 31. In the new Alitalia, therefore, 50% would be controlled by FS and Delta and another 15% would be due to MEF (the Italian Ministry of Economy and Finances) through the conversion of a bridge loan. It remains to be clarified how the remaining 35% would be divided. According to the newspaper Il Messaggero, in fact, Battisti would have obtained from the Treasury the availability of Fincantieri to cover 10-15%, while an additional 20% would remain to be covered (there are talks again of CDP – Italian National Promotional Institution) or Poste ( the state mail company) through some subsidiary companies. The new Alitalia could start with a capital requirement of around 1 billion euros. While waiting for its future to be defined, Alitalia states to have recorded a 2.7% increase in passenger numbers on intercontinental routes compared to the same month of the previous year. And passenger revenue traffic is up by 1.2% on long-haul flights compared to the same period in 2018. 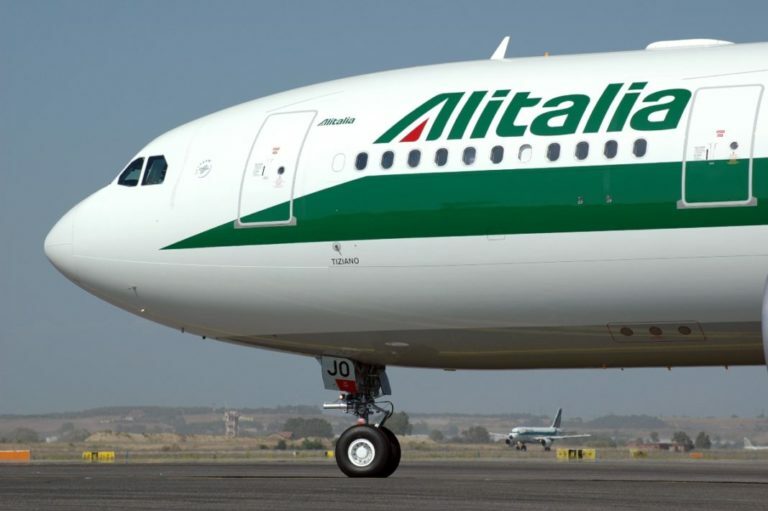 February cargo revenue, as stated by Alitalia, also increased by 4.9%. The results obtained on intercontinental routes have contributed to overall revenues, allowing Alitalia to record for the fifteenth consecutive month, growth in total passenger traffic turnover.